Islamic State is believed to have seized enough radioactive material to build a large “dirty” bomb, according to Australian intelligence reports. NATO has expressed concerned about the supplies, according to Australian Foreign Minister Julie Bishop. According to Australian intelligence reports cited by The Independent, ISIS militants possess radioactive material, mostly stolen from government facilities, enough to build a large and devastating dirty bomb – a conventional explosive that is meant to disperse radioactive material over a large area. In an interview with The Australian, Bishop also said that Islamic State (IS, formerly ISIS/ISIL) extremists “did not just clear out the cash from local banks” when they swept across large swathes of Iraq and Syria. Bishop said that her statements stemmed from reports filed by the Australian Department of Defense, as well as the Foreign Office. She added that NATO has expressed concern about the materials, which were reportedly seized from hospitals and research centers and would typically only be available to governments. In addition to concern from NATO, Bishop also noted that the Australia Group – a 40-nation bloc dedicated to ending chemical weapons – held a session on the situation during a summit in Perth last week. “This is really worrying them,” she said. 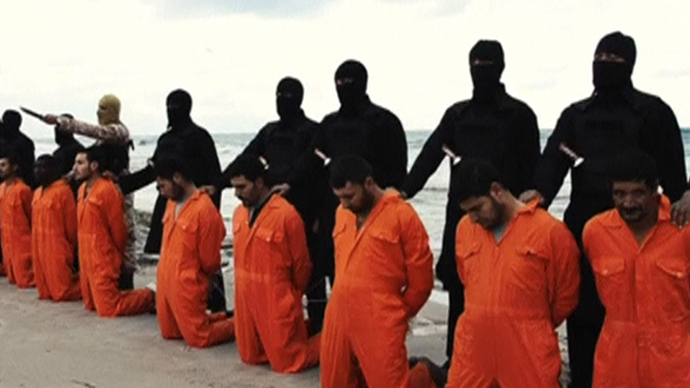 At the Australia Group meeting, Bishop spoke about fears that ISIS is weaponizing poisonous gases such as chlorine. "The use of chlorine by Daesh [the Arabic term for IS], and its recruitment of highly technically trained professionals, including from the west, have revealed far more serious efforts in chemical weapons development," she said at the time. Bishop’s warning was backed by the former commander of the British army’s chemical weapons unit Hamish de Bretton-Gordon, The Australian reported. De Bretton-Gordon said that Bishop was the “first senior politician from a major Western government” to speak on the issue. The comments came just three months after the Kurdish Regional Government said that its Peshmerga fighters came under attack from an IS suicide bomber driving a truck with toxic chlorine gas. Australia is not the only country to publicly express concern about ISIS developing weapons of mass destruction. India also warned last month that the extremists could obtain a weapon from Pakistan. In May, ISIS announced in its propaganda magazine Dabiq that the group was aiming to develop weapons of mass destruction (WMD). It suggested that it was expanding at such a rapid pace that it could buy its first WMD within a year.